Being a single mother that I am, my ultimate happiness is to be with the little tot. I may not be a perfect mother but rest assured that he is love and well taken care of. It's Friday once again and it's time for weekend meme. 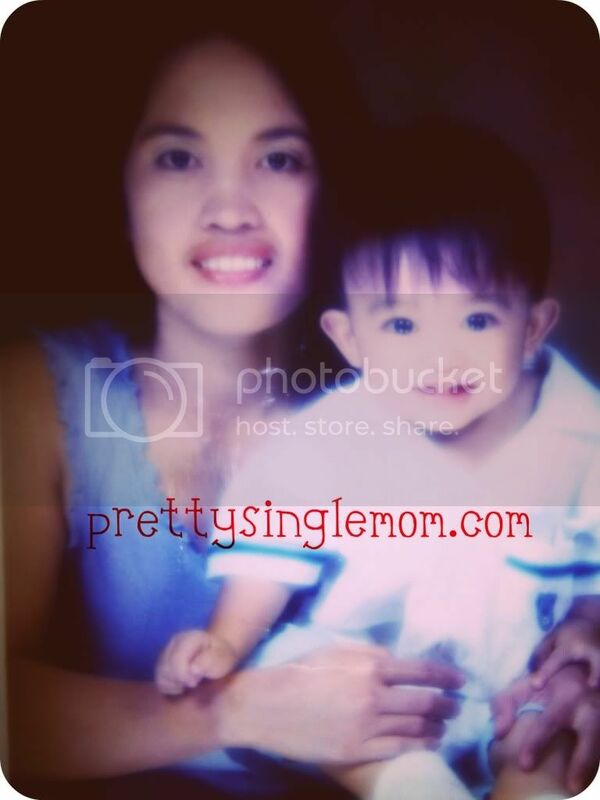 The photo above is me and the little tot, taken when he was one year old. I was slim then and the little tot is still wearing a bangs. Now, he don't want a bangs and definitely hate when his hair is two inches long. 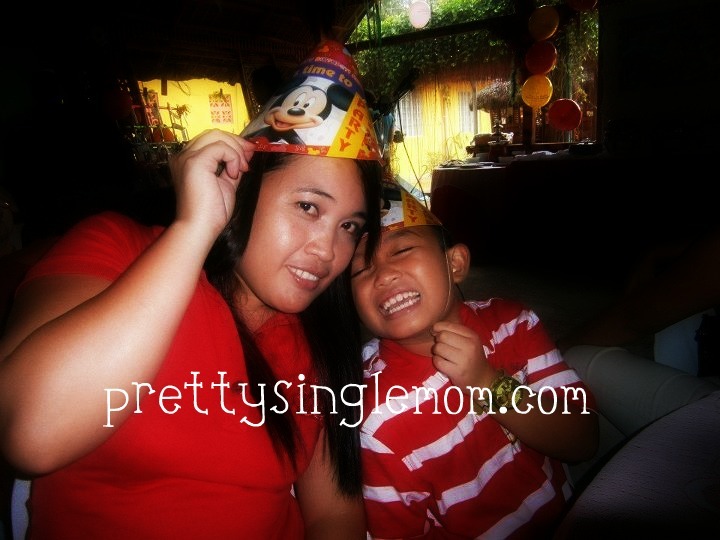 This is our latest photo together, taken last month during the birthday bash of my nephew (son of my cousin). See the difference from the first photo? I certainly gained much. I was on my way to pick up the little tot few days ago when I passed by this pinky little flower on the road. I do not know what it is the name of the tree that bear this cute tiny flowers. Love those spread out flowers, so pretty. Join us in Color Connection if you want. aww, such a heartfelt entry...parenting is really a hard task what more parenting alone...you surely are doing a great job sis! Bagay naman sa kanya may bangs a! Ayaw na nya talaga? hehehe! The flowers looks like cotton candy..
i'm dropping back from mommy moments sis. have a great week! napadpad uli from Pink fridays :)visiting from Mommy Moments. hope you could visit back. 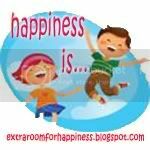 happiness is indeed a weekend with our babies!! cheers! Hello :) Thanks for sharing your happiness and for the visit. 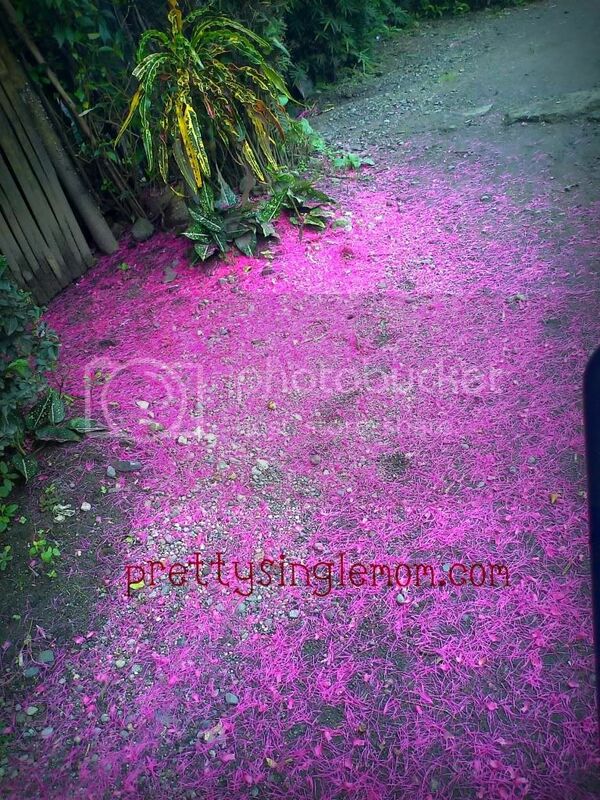 I wish to walk on a road full of pink flower petals :) Thanks for the visit sis!